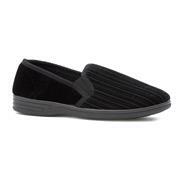 When we think of being warm and cosy, nothing quite gives you that fuzzy feeling like a nice comfy pair of funky slippers. 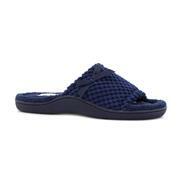 Slippers from The Slipper Company are a firm favourite here at Shoe Zone, as not only do they offer comfort and the cosiness we all desire, but they’re super stylish too, with lots of different designs and colours to choose from. Whether you’re coming back from a long day at work or your children have worn themselves out at school, putting slippers on is when relaxation time begins. Whether you prefer mules or moccasins, ballerinas or bootie slippers, there will definitely be a pair to take your fancy. As well as the more novel styles, there is also a selection of traditional slippers available if you prefer, as well as a specially selected range of memory foam slippers for when a little bit more support is needed. Often, we don’t realise how much strain and pressure we put on our feet simply by going about our day-to-day lives. Certain shoes don’t offer support in the right places either, which is why it’s time to look after your feet with some blissful slippers. 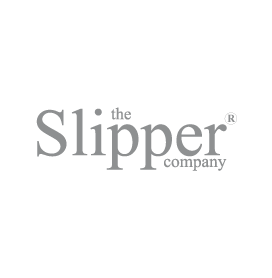 The Slipper Company range caters for the whole family, offering a great range of men's slippers, women's slippers and children's slippers too. Each style also comes in a variety of sizes, so you can find just the right fit. Like all of our products, these come with free & fast delivery within 2-4 business days. Don’t wait around to give your feet a hug – buy online now! 54 products from £4.99 to £9.99.